Mariel is a 38-year-old Filipino who is currently working as a manager at DHL Customer service centre based in Wellington. She has been in this job for the last two years after completing a business diploma at level 6. Mariel has been heartbroken since INZ recently declined her resident visa application under the Skilled Migrant Category (SMC) because INZ found her job did not match the ANZSCO description of call centre manager under ANZSCO (149211). As luck would have it, INZ has recently changed the SMC policy, and her employer has increased her salary to $49,000 per annum. 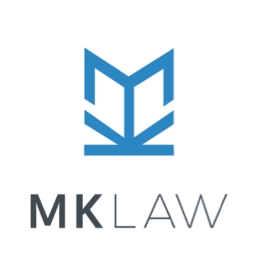 Mariel contacts MK Law, a reputable immigration law firm in Auckland, to find out if she qualifies under the new SMC policy. Mariel’s residence application was declined because INZ found her role was more akin to the call centre team leader (ANZSCO 541111) which was in Part C of the Skilled employment list. Under the old SMC policy, she required minimum three years of relevant work experience to qualify as a skilled migrant. Under the new SMC policy, Mariel loses 20 points for her work experience because the new rule only recognises the ‘skilled’ work experience. Nonetheless, she now has 160 points because she has 50 points as a call centre team leader without the minimum three years of work experience. She also gets the extra 5 points for her age. Mariel was not the only one who benefits from the new SMC rules. Angela, Mariel’s best friend, visits MK Law and learns that she too is a skilled migrant under the new SMC policy with her new job as a flight attendant in Wellington from Jetstar after completing a diploma in tourism management. What would like to talk to us about?